…got to see that movie! Please donate serious quantities of popcorn to munch while we watch. What’s a trip to the cinema without popcorn? The eagerly-awaited Tufnell Park kids’ Animated Film Show is to be held in the hall after school on Friday 12th February, only 50p per (adult) ticket. We need supplies of healthy snacks for families to nibble as they watch. 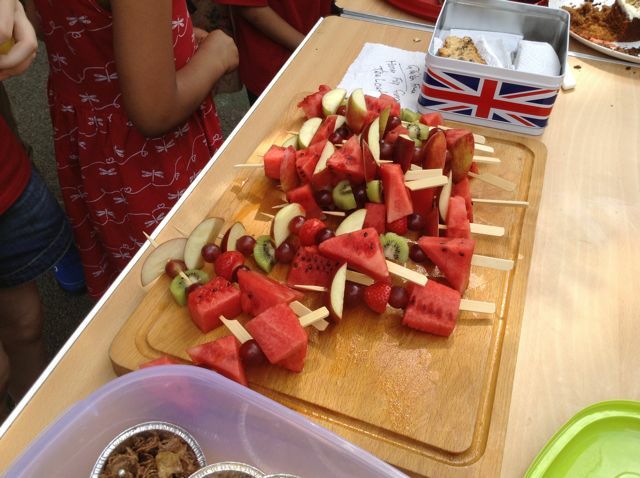 Fruit kebabs are a massively popular choice at our new healthy snack sales. Specifically, if you can, please donate popcorn, fruit kebabs and small sandwiches for sale before and during the event. All proceeds go to Childnet as part of Safer Internet Week.